From homework, paying bills and scheduling activities, to listening to music, watching TV, shopping online and even entertaining, we spend a lot of time in the kitchen. That’s why your kitchen remodeling style is about far more than having a convenient place to prepare meals. 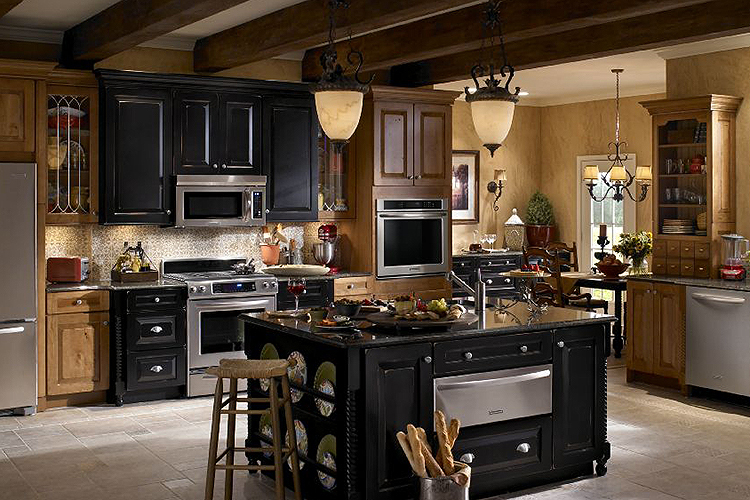 What kind of kitchen design would you love to have? Nobody wants the room where you spend so much time to be just plain vanilla. There are many ways it can match your personal style. 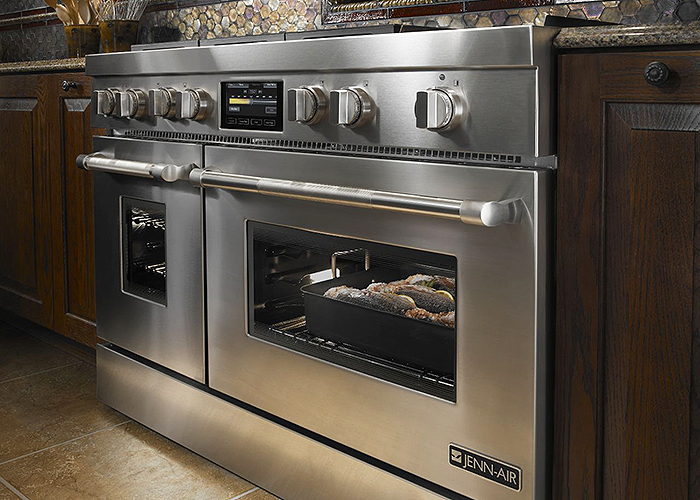 Perfect for home chefs who love everything about food, tools, and the joy of cooking and sharing extraordinary meals. 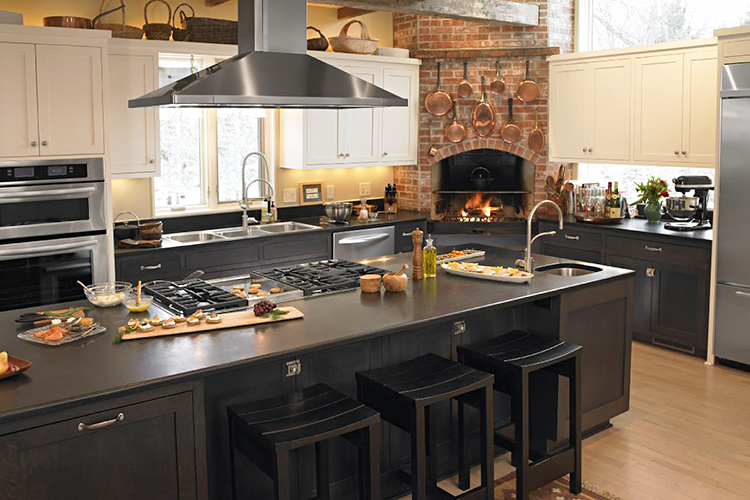 This style borrows elements from commercial kitchens: stainless steel counters, backsplashes and appliances, and a large stove (typically gas), warming drawers and other features. Efficiency is key, so open shelves, a butcher block with knife storage, pullout faucets and a pot-filler faucet mounted on a tiled wall over the range are nice additions. An overhead rack keeps high-quality pots and pans handy, and bar stools are a must-have feature, so family and guests can gather as dinner is being prepared. 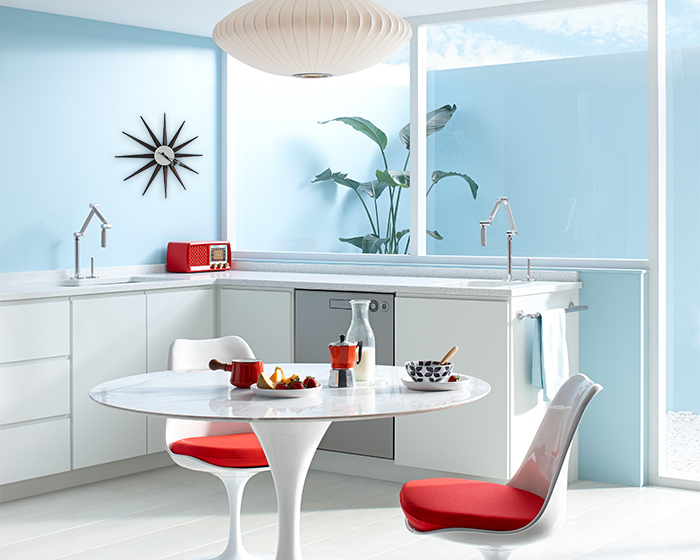 Like retro kitchens, contemporary kitchens have clean lines and glossy surfaces, but turn up the dial on minimalist design. There is typically no decorative molding but, instead, the pared-down elegance of strong horizontal lines and sleek cabinets. Natural light streaming through large windows is a hallmark of this style, with lighting fixtures that do double duty as sculptural design elements. Smart kitchen storage solutions keep countertops bare, giving the room a calm, Zen-like quality. This is a richly textured kitchen remodeling style that’s all about comfort. It can feature wood counters, faux beams, stained or painted bead board on the walls, and glass-door cabinets finished in different colors. Cabinets may have furniture-type elements such as a hutch look-alike cabinet, upholstered seating and an island with carved table legs. A large farmhouse sink with an apron front is perfect, as are vintage light fixtures. Instead of bright colors, muted colors and natural textures create a cozy, comfortable feel for the space. These styles are just starting points to trade up from an all-white “plain vanilla” kitchen. We’d love to help you combine the kitchen remodeling style elements you love most with the spaces and functionality perfectly designed for all the ways you use your kitchen. Give us a call today and let’s start exploring the possibilities.